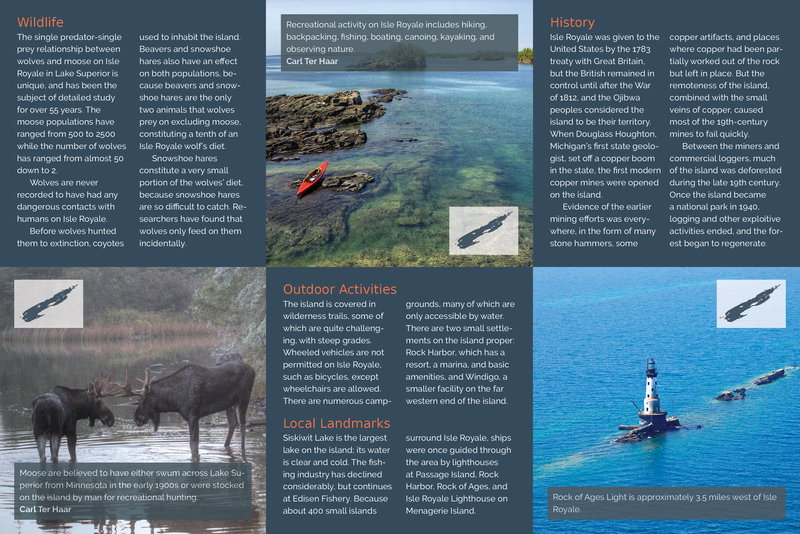 This brochure was made in InDesign, with photos illustrated in Photoshop and graphics made in Illustrator. 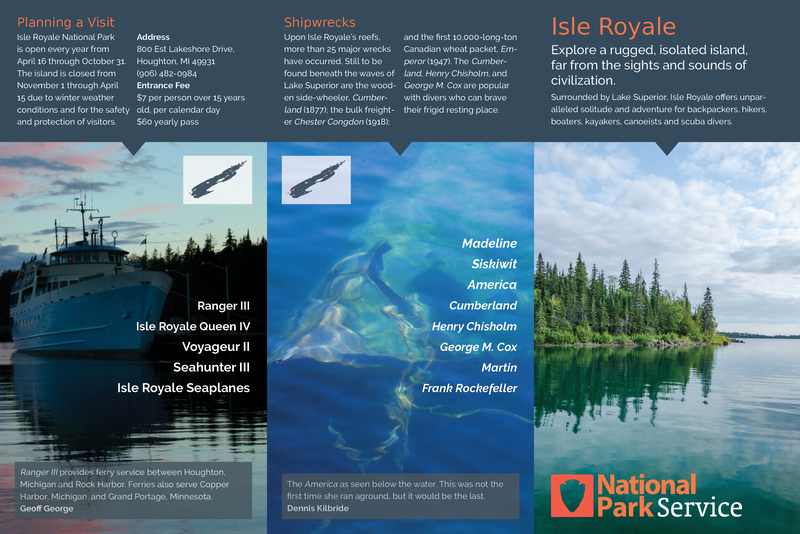 It explains the wildlife, outdoor activities, landmarks, history, shipwrecks, and planning of a visit at Isle Royale national park. My studies led me to do a three-week graphic design internship in Las Vegas at Liberty Baptist Church from May 15th to June 5th, 2018. Unless otherwise mentioned, this webpage and its content is licensed under the Attribution 4.0 International license. You may quote and copy this material if you give correct credit to the author and do not distort or otherwise change the original meaning of his words. Copying any material on this website without giving correct credit to the author is both plagiarism and copyright infringment, and will be treated as such. Denis G. Labrecque published this document on February 16, 2018. Proudly hosted on GitHub using Jekyll markdown.